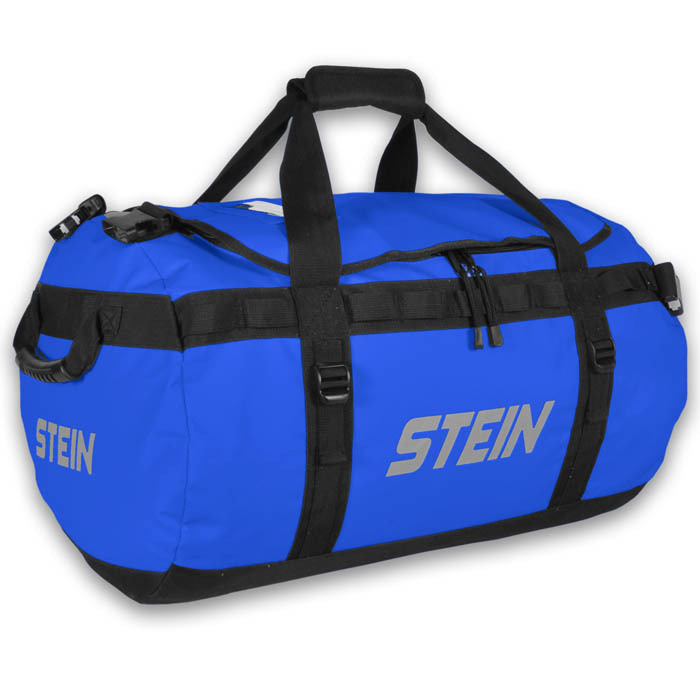 Made from durable PVC tarpaulin material this general purpose water-repellent duffel bag has an innovative modern design. It is a backpack and bag combined into one making it perfect for transporting and storing kit. All the bags have removable and adjustable shoulder straps and a spacious inside compartment with separate storage pocket in the top flap accessible from the inside. Fitted with four compression straps to lock down the load and rubber haul handles on both ends. There is a visible name holder window on the top of the bag for easy kit identification.